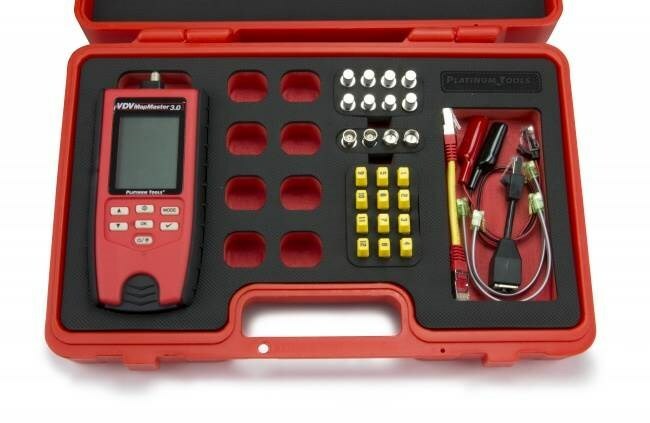 The VDV MapMaster™ 3.0 combines continuity testing, mapping, generating tones and length measurement functions into a single easy-to-use unit for installation, troubleshooting, and maintenance for telco, network, or coax cable. The back-lit display, glow-in-the dark keypad and a built-in flashlight helps you to work in the dark. 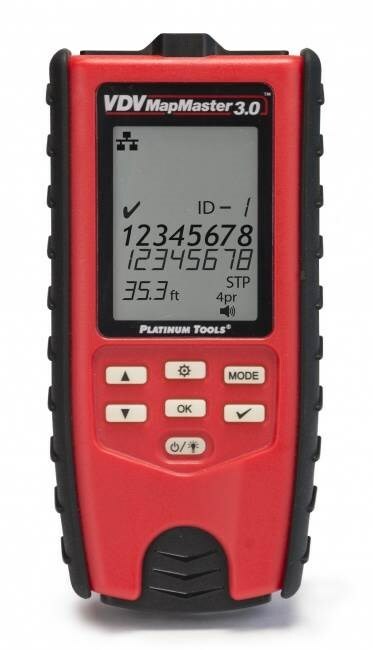 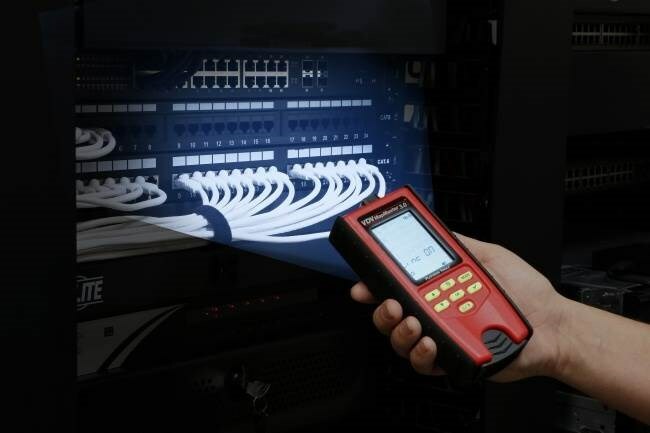 Whether your jobs are commercial or residential, the versatility and added features of the VDV MapMaster 3.0 makes it a best value cable verifier for the professional installer!